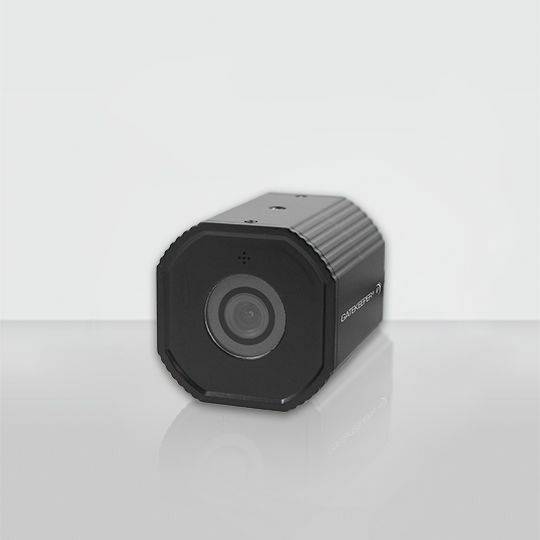 The MX12 is a 1080P high definition camera designed with a small lightweight footprint for applications where vehicle clutter can occur. The Sony chipset ensures outstanding picture quality to secure evidence and Wide Dynamic Range (WDR) deals with tough lighting conditions. 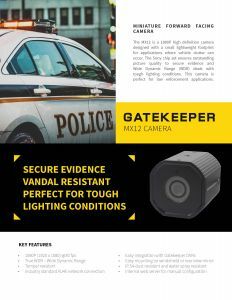 This camera is perfect for law enforcement applications. Great Images Come In Small Packages. 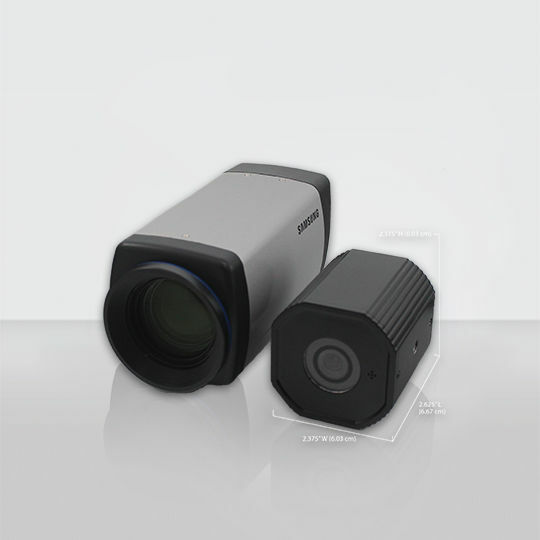 Superior High Definition Imaging In Any Lighting Condition. 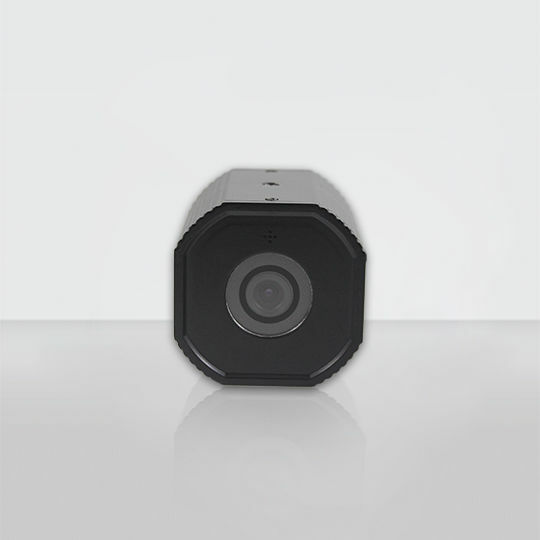 The MX-12 has a ¼ x 20 threaded hole that is used for mounting. 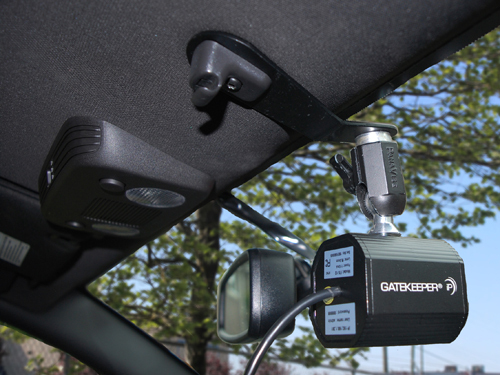 Through the utilization of different mounting methods, Gatekeeper can provide mounting for any needs. 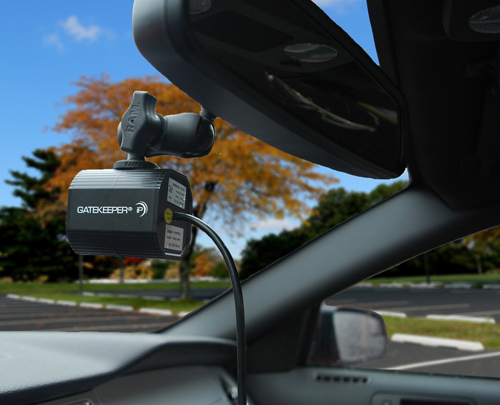 The rear view mirror mount is typically used in private vehicles when the camera is forward facing. It can be turned thru 90° to be closer to the mirror (pictured right below). The drop mount is typically used in larger vehicles where there is a bulk head above the driver that the drop mount can be fastened to. The sun visor mount can be easily mounted to most sun visor inboard clips. This mount can be used in personal vehicles, vans, SUV’s etc. 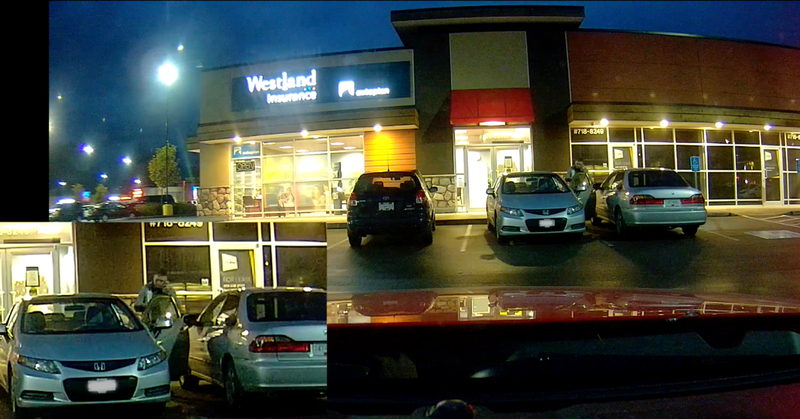 this is not recommended if the camera is to be mounted facing the rear of the vehicle as the sun visor can block the video image. This is a permanent mount to the windshield. 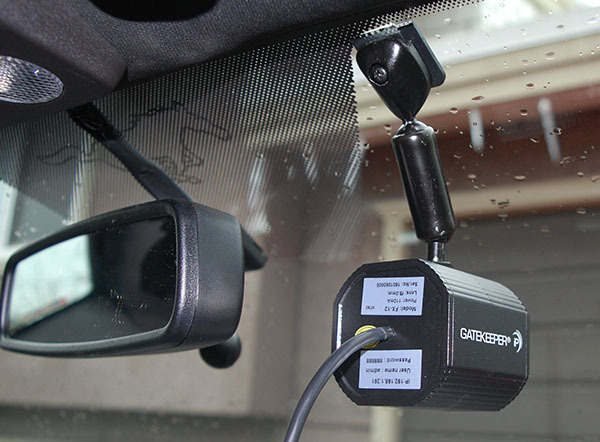 It allows for installation in a diverse number of locations on the front windshield or back window in any vehicle. The mount is glued to the glass using the same adhesive that is used to attach the rear view mirror.